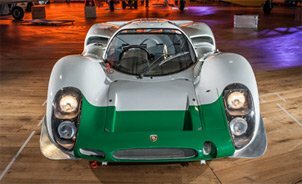 The company PS Automobile has been restoring historic Porsche vehicles for over 20 years and specialises above all in Porsche 356 models and the earlier models of the Porsche 911 up to and including those manufactured in 1989. Our special expertise lies in the restoration of the complete chassis and all of the technical components. Our decades of experience in the world of motorsport have made us experts in the professional restoration of Porsche vehicles. Let yourself be inspired by our restored vehicles!